After traveling to so many places, I really do feel lucky to live in Melbourne. 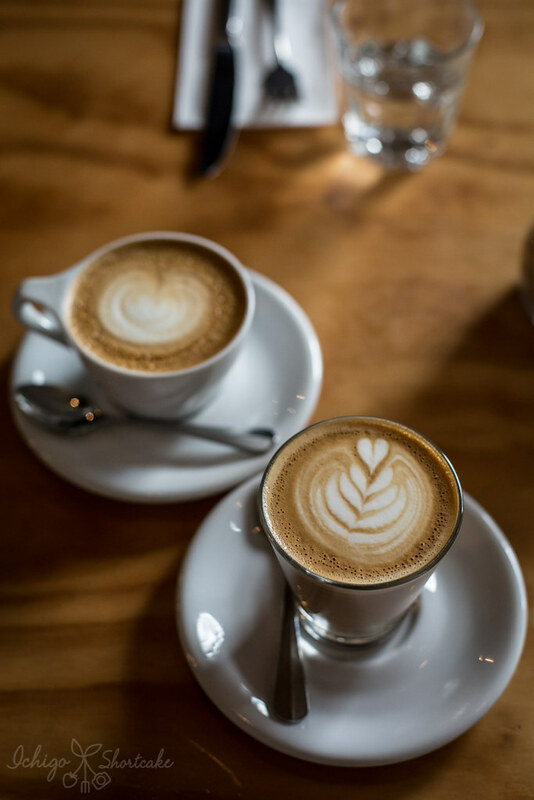 It might not have as good ramen as there are in Japan, not as good pizza as there are in Italy but we definitely have one of, if not the best coffees in the world. That’s brought about by the increase in individual roasters around town and their desire to produce that perfect drop. 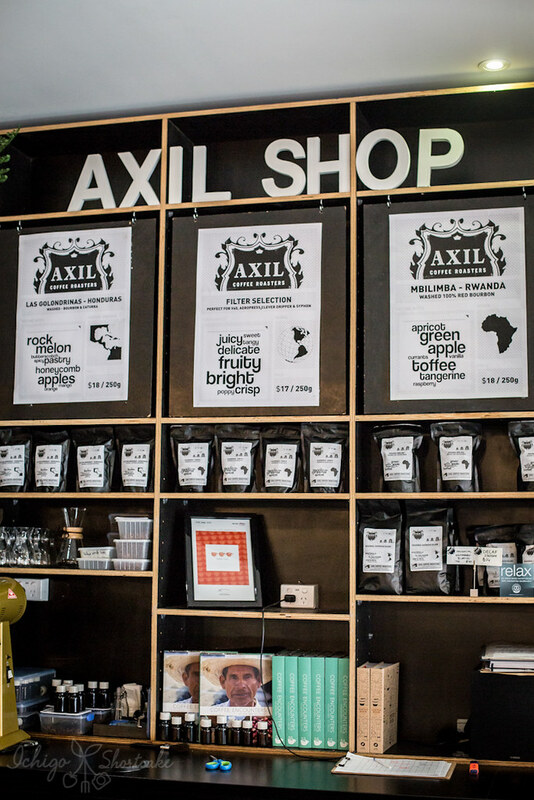 Axil Coffee Roasters is one of those roasters and cafes in one that produces a great aromatic coffee and pairs it with delicious food as well. 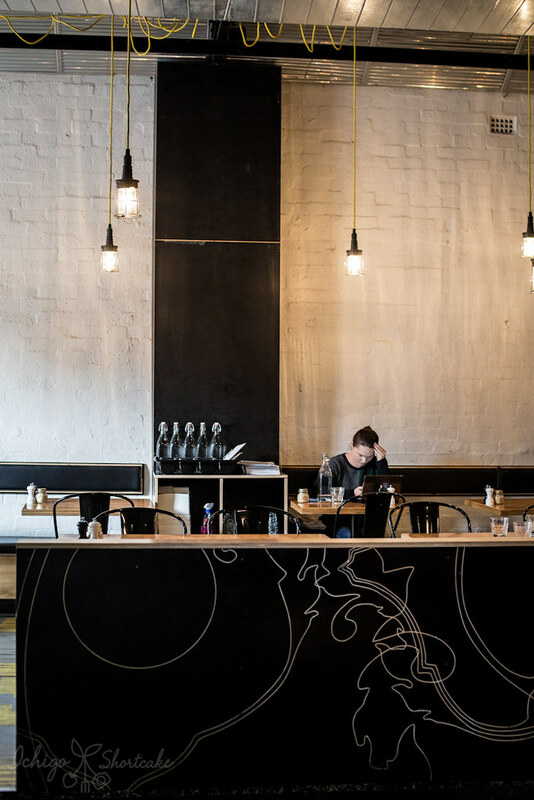 The dark metal and wooden furnishings in the warehouse space give Axil a grungy and industrial feel which is lightened by the added touch of green hanging plants. 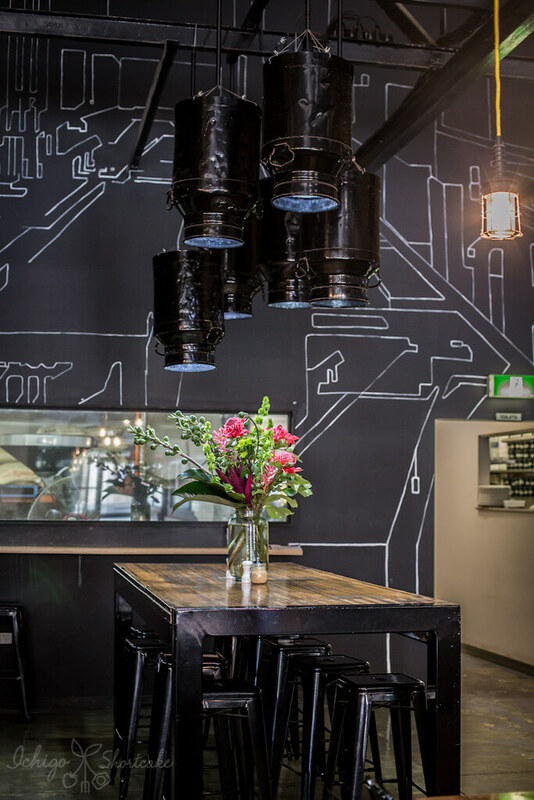 You can see the roasting process through a window at the back of the room and enjoy a freshly brewed coffee while you’re at it. 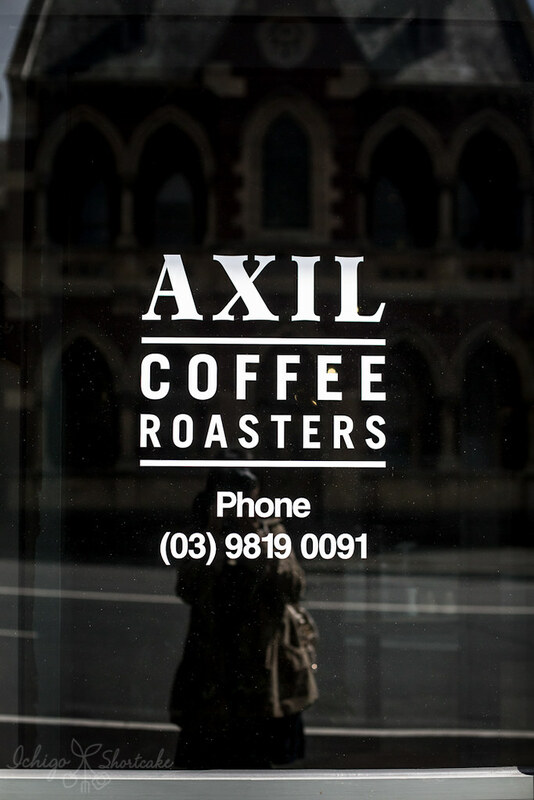 The coffees were smooth and aromatic with a touch of fruitiness and a toffee finish ($3.80). Of course we weren’t there just for the coffee, the food was equally good. 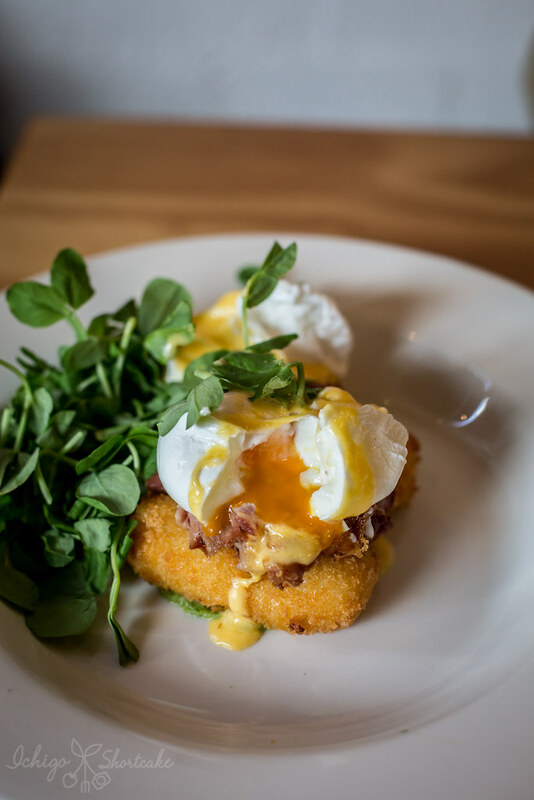 I ordered the ham hock with cheese croquettes, pea puree, pea tendrils, hollandaise and poached eggs ($20). Not the biggest dish though but with the amount of eggs I was still quite satisfied, especially how well cooked the eggs were. 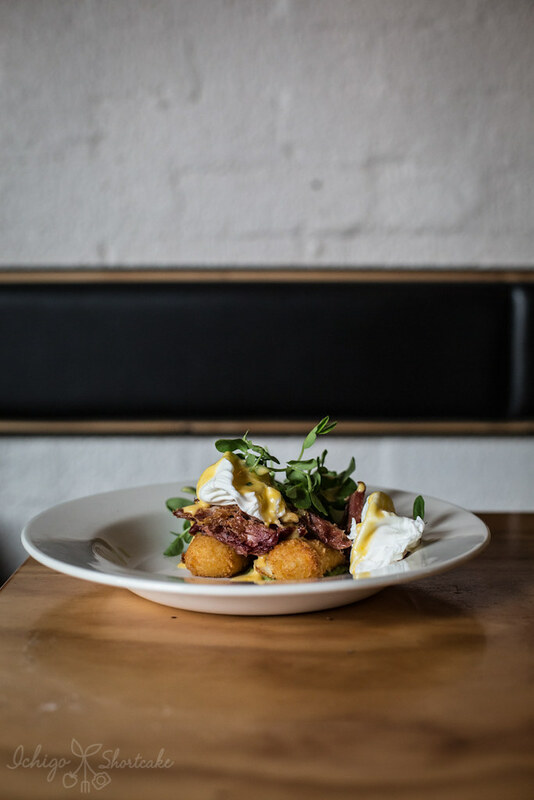 The croquettes were creamy and tasty while the salty ham hock added that depth of flavour. 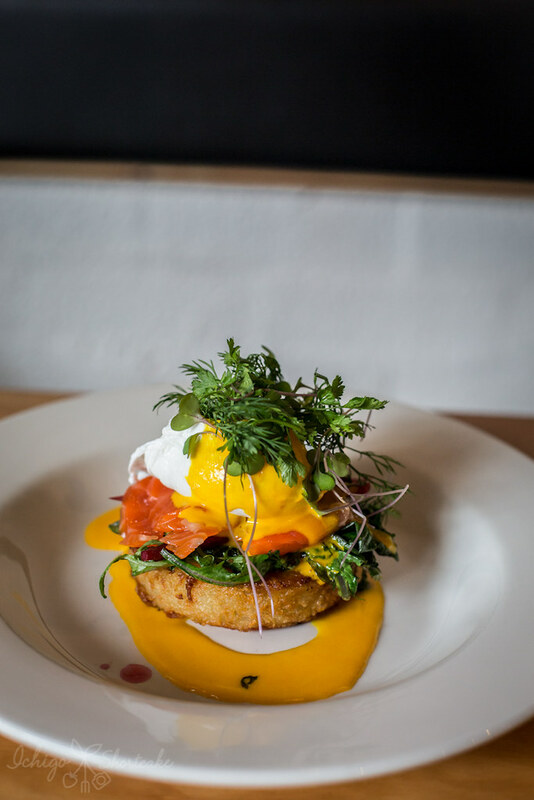 Yuye ordered the smoked ocean trout with potato rosti, baby kale, pickled baby vegetables, poached egg and saffron emulsion ($22). The trout was well smoked but not overly salty, the rosti was crunchy and not too oily and the overall flavour was there. Overall, it was an enjoyable meal. 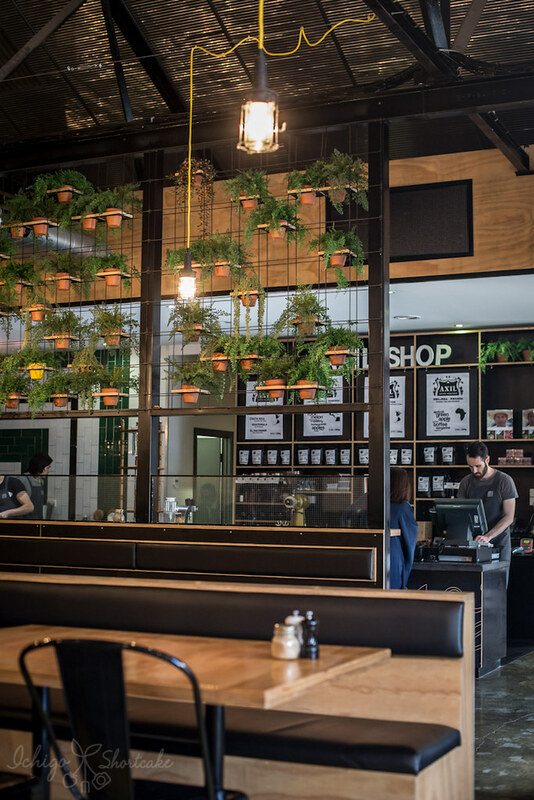 The coffees were great, the food was tasty albeit a tad on the more expensive side but we thought it was worth it. Next time we’re in the neighbourhood, we will visit again. 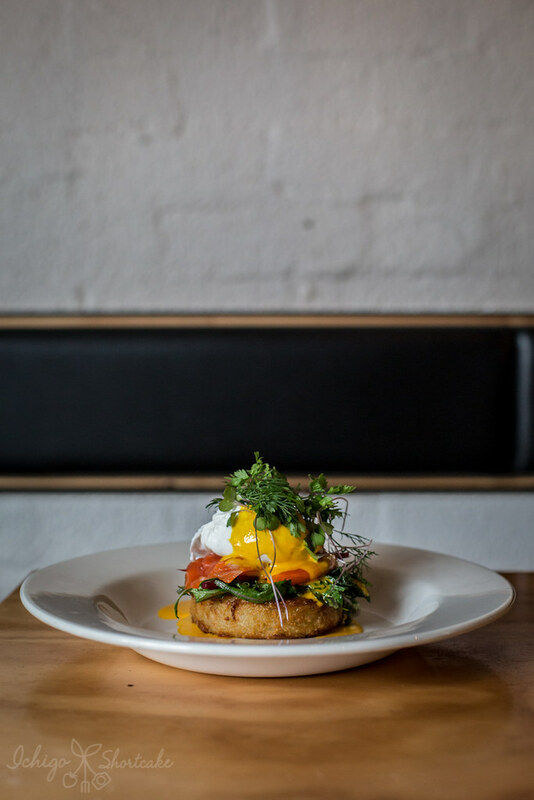 Potato rosti = fancy hashbrow? Looks delicious! What a fun place..the decor is so pretty, especially the plants…I love it!